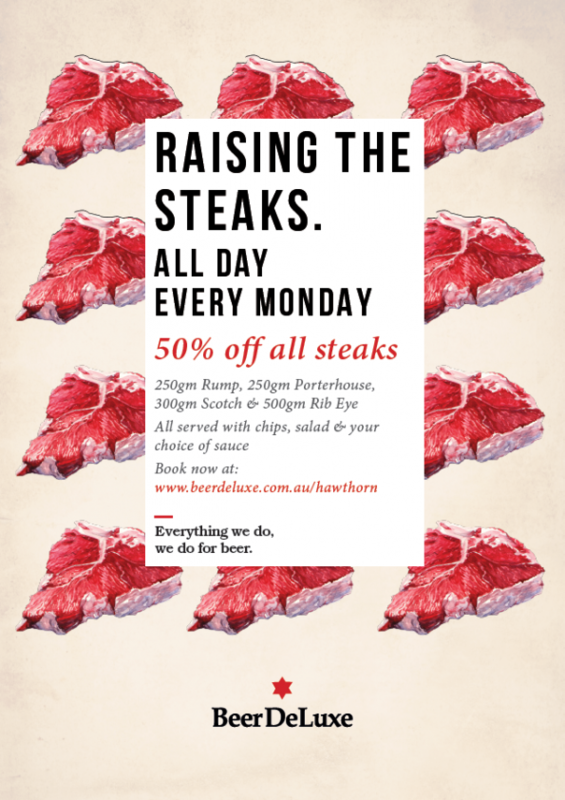 We’re raising the steaks every Monday! Score 50% every steak on our menu! All served with chips, salad & your choice of sauce. Available all day every Monday! It would be a mis-steak not to (see what we did there..), book a spot!